South Australian trailer dealership Transport Connection has expanded its portfolio to now offer products from Freighter, Maxi-Cube, Lusty EMS, Peki and Azmeb. The business, based in Wingfield, made the move following MaxiTrans' decision to take a majority share of the dealership. "Thanks to these additions, we now have the full offering of trailer types," General Manager David Rees says. "From tautliners to skels, semis, refrigerated vans, tippers and side tippers, we're now set up to be able to assist with just about any enquiry." 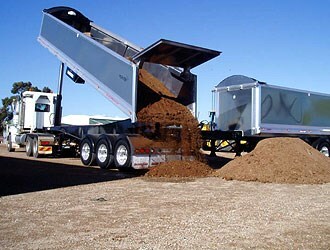 The dealership has been involved in the sale and repair of semi-trailers for more than 25 years.